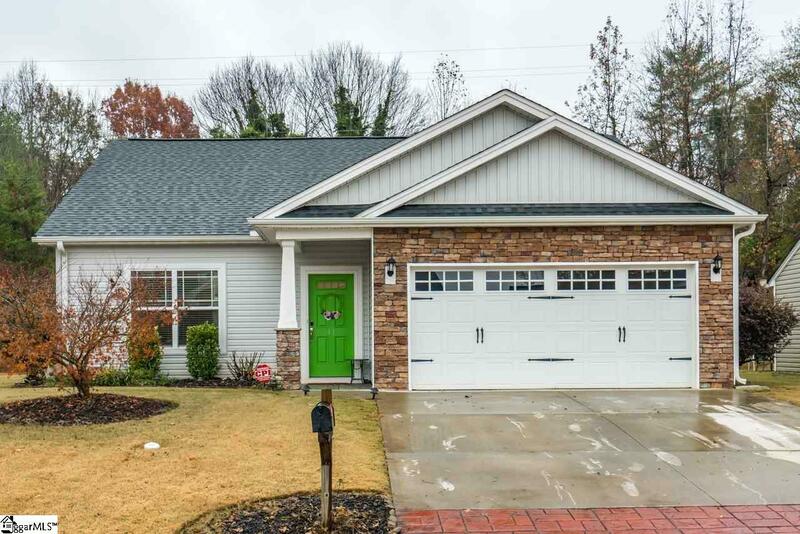 You&apos;ll love the well-thought-out design of this craftsman style, one level home. A generously-sized living room greets you as you enter the home from the covered front porch, while the adjacent island kitchen is well equipped with plenty of cabinet and counter space. Sliding glass doors off the breakfast area lead to the patio area and back yard, perfect for grilling and entertaining. Down the hall you&apos;ll find the spacious master suite, two additional bedrooms, hall bath and laundry room. Conveniently located just 5 miles from downtown Greenville, with easy access to Hwy 25 and Travelers Rest or I-85. Schedule a showing today!